Spinit Casino is owned and operated by Genesis Global Limited, the same group that is behind one of our favourite most generous casinos, Casino Cruise. 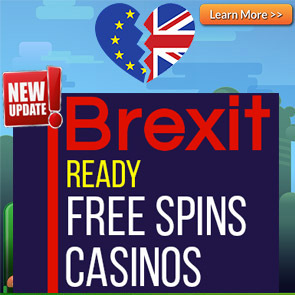 Spinit Casino hold licences from Malta and the UK Gambling Commission. You will find the NetEnt Casino games, Microgaming games, Play n Go games, NYX NeXtGen and a Live Casino running on an Evolution Gaming platform. Spinit Casino brings the excellence of Casino Cruise and gives it a new modernised innovative edge that makes the transition of playing on desktop and mobile seamless. The 200 bonus spins will be split up into batches of 20 bonus spins credited to your account over 10 days. The first 20 bonus spins will be available the following day by 2pm CET. Just login to your account and open up the Starburst Slot everyday to play your bonus spins. That’s not all, there are more bonuses for you at Spinit Casino. NOTE: Players must be 18 years or older. Full Bonus Terms and Conditions apply. Click here. Deposits made using neteller and skrill are not eligible for the welcome offer. Players from Canada will receive the 200 Bonus spins on the Lady of Fortune Slot. The wagering requirements on the bonus is forty times. Players from the following countries are not allowed to take bonuses at Spinit Casino: Nigeria, Bangladesh, Mongolia, Poland, Bosnia and Herzegovina, Kazakhstan, Vietnam, Croatia, Greece, Lithuania, Belarus, Latvia, Czech Republic, China, Bulgaria, Republic of Moldova, Malaysia, Georgia, Philippines, Thailand, Indonesia, and Ukraine. 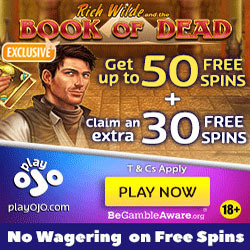 The following slots are not allowed to be played when a bonus is active: All Jackpot games, All live games, Kings of Chicago, Mega Joker, Robin Hood, Super nudge 6000, Pearls of India, Tower quest, Castle Builder, Forsaken Kingdom, Tomb Raider, Tomb Raider 2, Untamed Bengal Tiger, Untamed Crowned Eagle, Untamed Giant Panda, Untamed Wolf Pack, Peek-a-Boo, Aliens, Blood suckers, Big Bang, Champion of the Track, Dead or Alive, Devil’s Delight™, Jackpot 6000, The Wish Master. 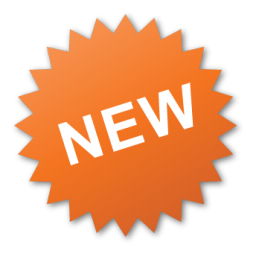 *The following Video Slots will contribute 20% towards bonus wagering: Simsalabim, Big Bad Wolf, Supernova, Hot Ink, Arabian Rose. **It is advised that you send a copy of a utility bill and passport/drivers licence to docs@spinit.com when you make your first deposit. This way you will be already verified and the processing time of your withdrawal will be shortened significantly when you make your withdrawal.